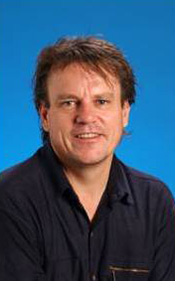 David Fox is a graduate of Monash University, receiving his Bachelor’s degree in 1975 and Master’s degree in 1978. He was awarded a PhD in statistics from the University of Wyoming in 1989. His 30-year career spans academia, private enterprise, and government agencies including appointments at Curtin University, Monash University, Melbourne University, University of Colorado, University of Wyoming, University of Exeter, and CSIRO. Since 2002, he has held the position of Professorial Fellow in the Department of Civil and Environmental Engineering at the University of Melbourne. His roles in CSIRO included Officer-in-Charge (Perth Biometrics Unit), Project Leader (CMIS Environmetrics), Manager Environmental Projects Office, Program Leader (CSIRO Land & Water), and Business Director (Strategic Planning, CSIRO Land & Water). He was Director of the Adelaide Coastal Waters Study (2001-08) and Director of the Melbourne Water-sponsored Effluent Management Study. David’s research interests include statistical ecotoxicology and the development of novel sampling strategies for efficient sediment-nutrient load estimation. Fox D, 2009, Personal communication.